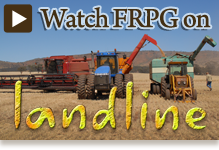 Flinders Ranges Premium Grain Pty Ltd produce flour from G.M. 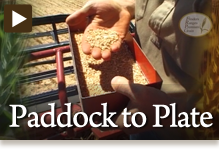 free, high protein wheat varieties, grown in sun drenched paddocks of the Southern Flinders Ranges of South Australia. The flour from this wheat produces Artisan Bread Products and a superior frozen dough, which has an extended frozen shelf life, without the inclusion of preservatives or additives. Our aim is to supply discerning bakeries and cafes, caterers and food service companies with a high quality “single origin” sponge and dough type flour for production of high quality bread, bakery and pasta products. Manufacturing Bakeries, large catering companies, specialised and artisan style bakeries, major hotel and restaurant catering and food manufacturing companies who provide meals to airlines, restaurant chains and hospitals are our target markets.